Anjem Choudary, Britain’s most high-profile Islamist preacher whose followers have been linked to numerous militant plots across the world, has been found guilty of inviting support for Islamic State. Choudary, 49, was convicted at London’s Old Bailey court of using online lectures and messages to encourage support for the banned group which controls large parts of Syria and Iraq. Prosecutors said that in postings on social media, Choudary and his close associate Mizanur Rahman, 33, had sought to validate the “caliphate” declared by Abu Bakr al-Baghdadi and said Muslims had a duty to obey or provide support to him. In one hour-long speech, Choudary set out the requirements for a legitimate caliphate under Islam and why he believed the Islamic State met those criteria. 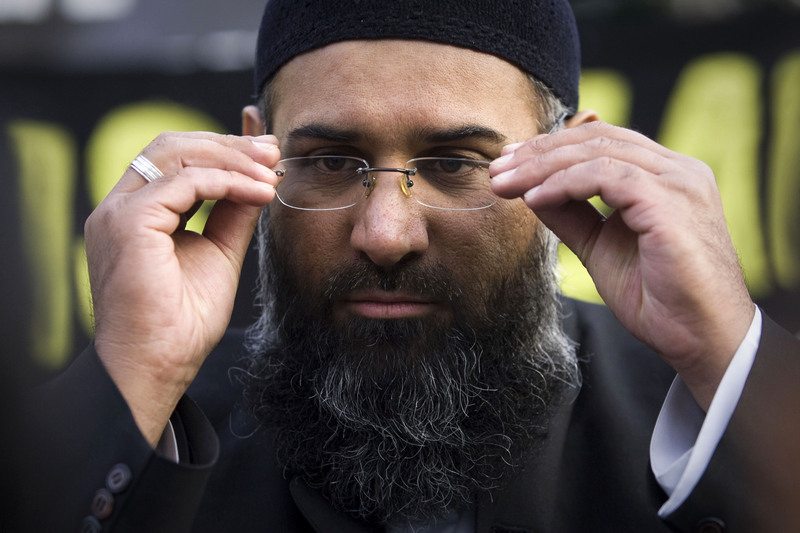 Choudary, the former head of the now banned organisation al-Muhajiroun, became infamous for praising the men responsible for the 9/11 attacks on the United States. Despite his often controversial comments and refusal to condemn attacks by Islamists such as the London 2005 bombings, Choudary has always denied any involvement in militant activity and had never been previously charged with any terrorism offence. Michael Adebolajo, one of the men who hacked to death British soldier Lee Rigby on a London street in 2013, had attended protests Choudary had organised. The group’s influence is said to extend far beyond Britain. Those connected to it include Abu Hamza al-Masri, jailed for life in the United States last year for terrorism-related offences. Michael Zehaf-Bibeau, the gunman who shot and killed a soldier in Canada’s capital and then stormed parliament in 2014, followed Choudary on Twitter, although the preacher told Reuters at the time he had no links to him. Both Choudary and Rahman say they abide by a “covenant of security” which forbids Muslims from carrying out attacks in non-Muslim lands where their lives and wellbeing are protected. “We’re living in a global community and no doubt Muslims around the world who have their eye on what’s happening in Syria and Iraq or want to know about the sharia (law) will come across us at one point or another,” Choudary told Reuters in 2014.